Rissóis (singular rissol) are small, savory fried turnovers from Portugal. 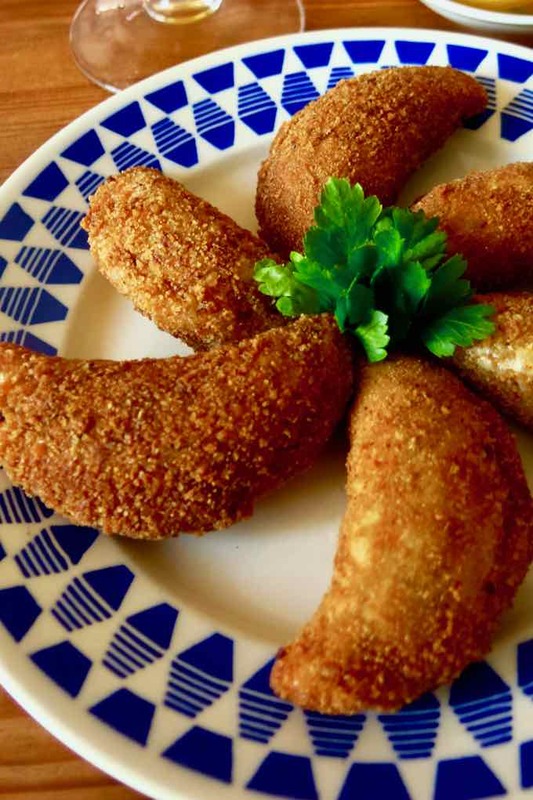 These half-moon shaped croquettes are usually filled with shrimp – rissóis de camarão is the version we are featuring today – or cod (rissóis de bacalhau), sometimes minced meat (rissóis de carne), before being breaded then deep-fried. The term “rissol” comes from the Latin russeolus which means “reddish”. This is a very popular Portuguese specialty, which can be enjoyed as a snack, appetizer or starter. Indeed, the Spaniards are not the only ones to have their tapas. Their Portuguese neighbors are also very fond of them. Traditionally, the Portuguese go to tascas, sort of taverns serving cheap and hearty family cuisine, to enjoy petiscos with a drink. This art of tapas and petiscos is apparently the legacy of the Arab occupation of the Iberian Peninsula for several centuries. Indeed, acepipe, Portuguese word for appetizer, would come from the Arabic al-zabib. 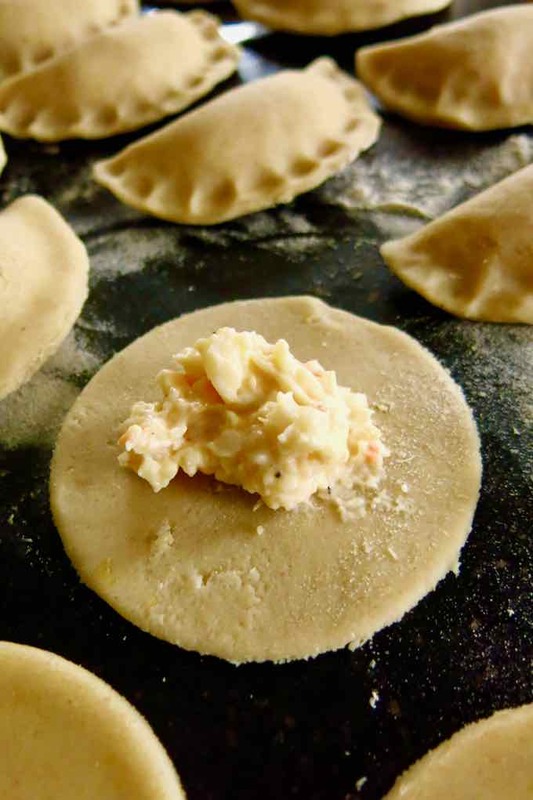 Today, petiscos are still very popular and it is possible to find them at any time in cafes and pubs. The rissóis are served as petiscos alongside charcuteries such as presunto – Portuguese ham, escargots (caracóis), sheep milk cheese or bolinhos de bacalau (cod fritters). Portugal is one of the countries that has contributed the most to the discovery of the world at the time of the great explorers. Portuguese cuisine was therefore influenced by the colonies, their spices, the “new foods” and reciprocally, it left its mark in these countries. Rissóis can therefore be found in Angola, Brazil, Mozambique and Goa. Preparations called rissoles are popular in many countries. 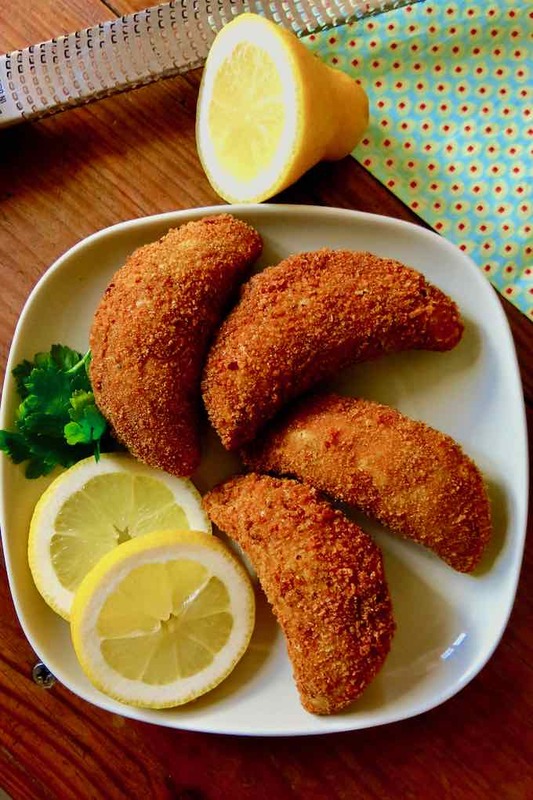 They are variants of Portuguese fritters, although the majority do not exactly look like them. In Ireland and the United Kingdom, they are quite common. 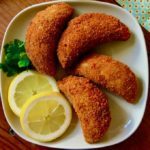 Over there, rissoles are fried, stuffed with potatoes, herbs and spices or ground meat. They are usually served with French fries. In Indonesia, risoles are very popular in night markets. They are thin breaded crêpes stuffed with vegetables, chicken and bechamel, shaped into rolls and fried. Of course, they are spiced with hot pepper! Australians and New Zealanders also eat rissoles but this time without dough. 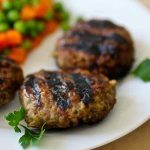 Over there, they are ground meat patties, covered with breadcrumbs, then pan-seared or sometimes grilled on a barbecue. In France, Savoyard rissoles are served as a dessert and look like small pear-filled puff pastry turnovers, that are baked in the oven. 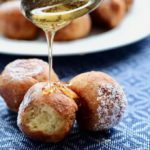 In Portugal, these types of massa tenra pastéis are known as “soft dough beignets” because they are very easy to work with. It looks like a very soft bread dough. The technique for making the dough is similar to the one for choux pastry. It is slightly dried on the stove by stirring until all the flour is absorbed and forms a ball. You will see a thin crust appear at the bottom of the pan. Let the dough cool a little before rolling it. The size of rissóis is up to you. 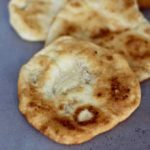 I personally cut 4-inch diameter circles, which I think is a good size to easily eat bite-sized portions with your fingers. The shrimp cream is a kind of very thick béchamel. The sauce should boil for a few seconds to form a liaison (thickened sauce). It must be completely cold before you start stuffing the rissóis. Indeed, it will thicken when cooling, which will prevent it from spilling while folding. Pay attention to closely weld the edges by squeezing the dough between the fingers so that the stuffing does not come out during cooking. To bread the rissóis, use one hand to dip the croquettes in the beaten egg (wet hand) and the other hand to coat with bread crumbs (dry hand). This technique avoids forming lumps and wasting bread crumbs. Remove excess breadcrumbs by gently tapping. Do not fry too many rissóis at the same time. First, so that they have room to brown correctly and be flipped. Second, so that the temperature of the oil does not decrease too much. Check the cooking of the dough by cutting through a croquette. If they brown too quickly without cooking the dough, then it will be necessary to lower the temperature of the oil. Place on a plate lined with paper towel to remove excess oil before serving. 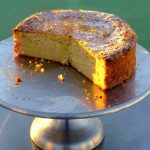 Do not hesitate to make a large amount of rissóis de camarão, as there will never be enough! And if you really have too many, you can freeze them breaded, before frying. You will just need to defrost them slightly before frying. Rissóis de camarão are delicious half-moon shaped savory fried snacks from Portugal. They are stuffed with shrimp, before being breaded and then fried. In a non-stick pan, pour the water and add margarine, lemon zest and salt. Bring to a boil. Pour the sifted flour all at once and stir continuously over low heat with a wooden spoon. When the dough forms a ball that comes off the sides of the pan, remove it from the heat and place it on a lightly floured work surface. Knead the dough while turning it briskly in all directions. Flatten it to about ⅛ inch thick and set it aside. In a Dutch oven, melt the margarine over medium heat. Add the sifted flour and, on a low/medium heat, stir, adding a little cold water, to obtain a slightly compact cream. Sprinkle with lemon juice. Stir in the egg yolks. Season with salt and pepper. 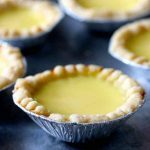 When the cream is set, remove from heat and allow to cool slightly. Add the shrimp and mix well. Set aside. On the rolled dough, cut out circles (or any other form of your choice). Using a teaspoon, place a little stuffing in each circle (not too much, or they might burst during cooking). Close the dough on itself and press on the edges to seal. Heat a large bath of oil in a pan. Roll each rissól in the beaten eggs, then the breadcrumbs and deep-fry in hot oil. Turn them over during cooking. 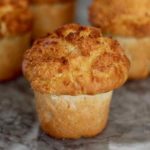 When golden brown, remove and place on paper towels.